Think that HTC’s smartphones are just too expensive for their own good? Well, HTC Malaysia just announced a price drop on its latest smartphones, making them slightly more affordable now. The price drop applies for HTC Butterfly S, HTC One 32GB, HTC One mini, HTC One max, HTC Desire 500, HTC Desire 300 and HTC Desire 200. HTC Butterfly S – The HTC Butterfly S retailed at RM2,399 at launch. Last November, HTC Malaysia also announced a price revision for the device down to RM2,299 and if you haven’t gotten it yet, the shiny Butterfly S is now even more affordable at RM2,099. 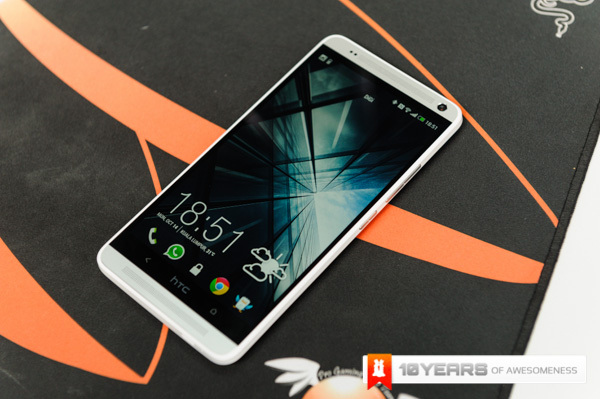 HTC One 32GB – According to the last price drop, the HTC One (32GB) was revised to RM2,199 and the new price for the flagship Android smartphone from the Taiwan company is RM1,999 for the silver, black and red unit, while the gold unit retails at RM2,199. HTC One mini – Launched with a retail price of RM1,699, the HTC One mini sparked many negative comments with a price tag that is way too expensive. I guess the folks at HTC realizes this as well hence, the new retail price of RM1,499. HTC One max – Another device too expensive for its own good, the One max was launched in Malaysia with one of the most expensive price tag for an Android smartphone – RM2,499 without any accessories packaged with it. HTC has given its mega phone a slight reduction on price of RM100, making the new retail price RM2,399. While I think some of these smartphones are still a little too expensive, it’s certainly good to see HTC Malaysia try to make a difference. Maybe their new aim for 2014 might help them after all, and hopefully they will take our advice too. Do note that the new pricing will take effect tomorrow, 15 February 2014. Hit the break to check out the new retail price for the HTC Desires. HTC also listed the HTC Desire 601 for RM1,099 but we relized that it still has the same pricing since its local launch. Anybody planning to buy a HTC smartphone this weekend?